In case you haven’t heard, TV is better than ever. Well, it’s certainly more than ever. As the era known as Peak TV progresses, it’s just about impossible to see everything. You can find a way to see most (if not all) of the year’s best films, but the year’s best TV? Good luck. Even though we are well into 2017, I thought I’d glance back at the best television I did manage to catch in 2016. If you’re looking for an all-encompassing theme, it’s probably that TV is catching up to movies from a visual standpoint. As more filmmakers cross over to the small screen, TV has become more cinematic in look and feel (hello, Stranger Things). For awhile now, it’s been transforming into less of a writer’s medium and more of a director’s medium. It’s pretty thrilling to see so many TV shows arrive with their own original visual style, but the divide between TV and movies has never been so paper-thin. These blurred lines were best represented by one of the best things I saw this year, period: O.J. : Made in America. It will probably win the Oscar for Best Documentary, but I watched it on ESPN so I’m counting it as a TV miniseries and not a 7.5-hour documentary. In the end, I don’t really care what it’s categorized as, just that it’s recognized as the monumental achievement that it is. 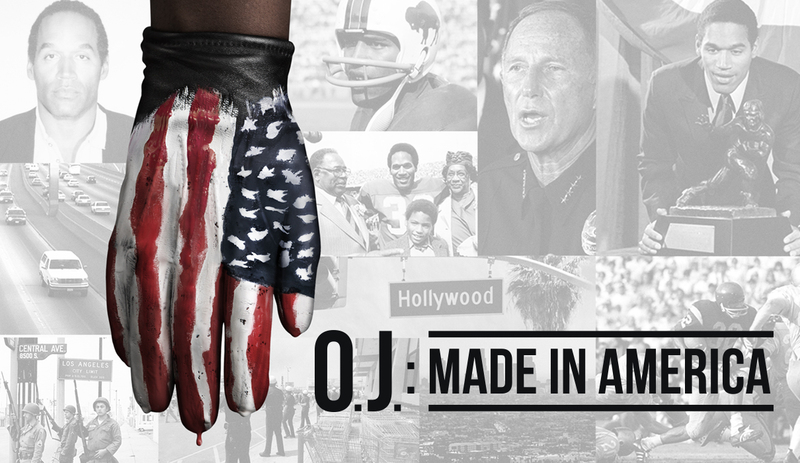 Aired in five parts through ESPN’s “30 for 30” series, O.J. : Made in America is insanely ambitious. In its retelling of OJ Simpson’s life, career, relationships, and (alleged) crimes, we are taken on a fascinating journey. Director Ezra Edelman masterfully reveals the massive, complex undercurrents of the OJ trial: be it race, class, celebrity, a ravenous media, or a flawed criminal justice system. O.J. : Made in America challenges all and comforts none. And despite its long runtime, it never feels like a slog. Even more than FX’s dramatized The People vs. O.J. Simpson (which was entertaining in its own right), Edelman’s documentary keeps you hooked and engaged from start to finish. Whether you’re a sports fan or not is essentially irrelevant here. This is something every American should see, and I certainly don’t say that often. On the other end of that spectrum was season 3 of Black Mirror, a ruthlessly dystopian show that’s definitely not for everybody. However, I find it totally enthralling, even though it remains kind of a hit-or-miss enterprise. Like the first two seasons, the third has its peaks and valleys, which is probably to be expected from any series that is a collection of standalone episodes. “Nosedive” and “Hated in the Nation” successfully interrogate our social media-obsessed society, while “Men Against Fire” misses its mark in attempting to entertain and comment on war’s eroding effect on humanity. 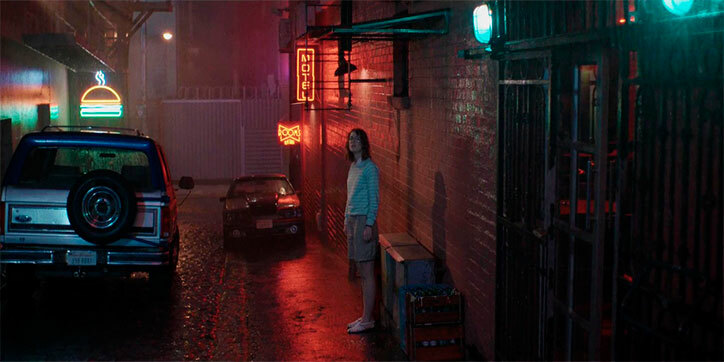 Despite its move to Netflix, Black Mirror remains a smart, incisive, and ominous series. Even amid all the darkness, there is a ray of light in the middle of the third season. “San Junipero” is the most upbeat and enjoyably sentimental the show has allowed itself to get, although there is still a melancholy interpretation underneath if you’re willing to read it that way. The brilliance in Black Mirror is that it’s not about how technology ruins our lives, but how our broken human nature always finds a way to muck everything up. While Black Mirror didn’t always stick its landing, HBO’s miniseries The Night Of was probably the most consistently excellent show on TV this year (excluding O.J.). The talent in front and behind the camera was too impressive for this not to work. Novelist and The Wire writer Richard Price and screenwriter Steve Zaillian (Schindler’s List, Moneyball) got together to create this riveting crime drama about a college student who sees a one-night stand turn into a murder investigation. Riz Ahmed plays the student, Naz, and the always wonderful John Turturro is his defense lawyer. Michael Kenneth Williams (Omar’s comin’) plays a hardened inmate who takes Naz under his wing. All three actors are pitch-perfect in their roles, just as the writing and directing is equally top-drawer. There was something so fresh about The Night Of that made me yearn for more of its kind. We don’t need every show on TV to run for a few (or more) seasons. Here was a highly compelling and nuanced drama that was too long for a movie, but perfect for an eight-episode arc. Just give HBO all the money to keep making shows like this. Another new HBO show actually looked like someone gave it all the money. 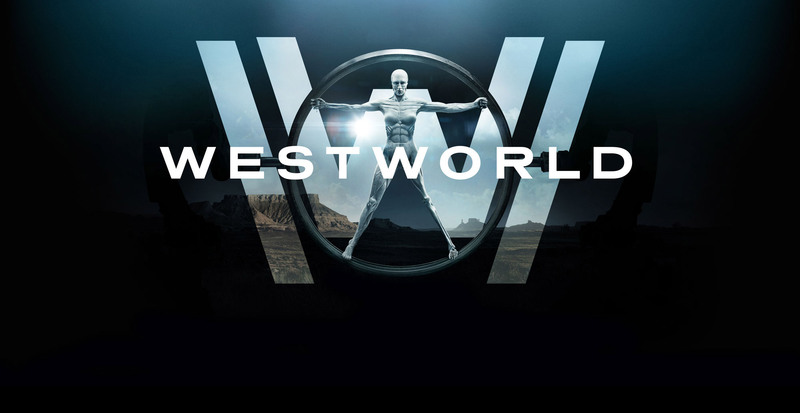 Westworld was a hugely ambitious swing at a sci-fi/Western genre mash-up. Jonathan Nolan (Christopher’s brother) and Lisa Joy co-created this remake of the 1973 movie about an adult theme park filled with artificial intelligence “hosts” where guests can come and live out their most debauched fantasies. Season one of Westworld looks like a million bucks. From the action sequences to the sweeping desert landscape to the futuristic A.I. maintenance center, the budget had to be sky-high for a TV show to pull this off. Plus, the acting they brought in is full of respected veterans of film and TV, like Anthony Hopkins, Ed Harris, Evan Rachel Wood, and Jeffrey Wright. Westworld was not without its flaws, of course. The plot twists were so telegraphed that close readers of the show were able to figure out pretty much all of them. If I could go back in time, I’d watch the whole season without reading anything about it, although I may have been able to guess some of them anyway. For me, it was also more intellectually stimulating than something to invest in emotionally. The central issue for Westworld will continue to be how you make the audience actually care about robots. Overall, it was a thrilling ride that left me deeply curious for what next season will bring. 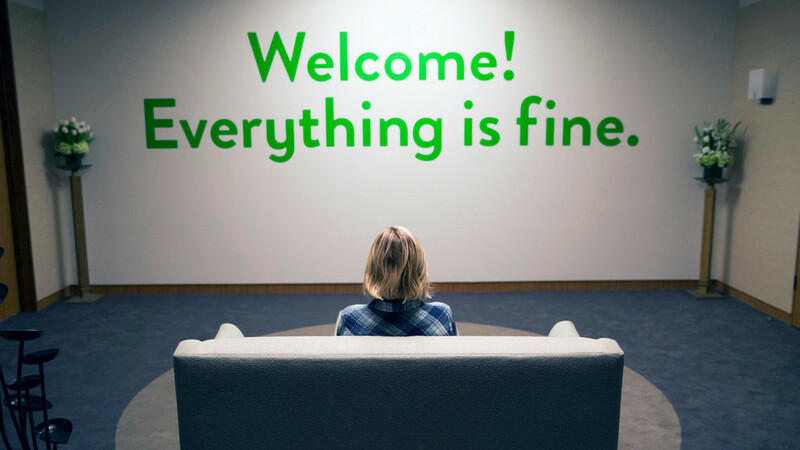 Conversely, NBC comedy The Good Place‘s first season left me in anticipation for season two, but it did so through a genuinely shocking finale that no one saw coming. This high-concept network show is set in the afterlife, which makes it a variation on Westworld‘s problem: How do you make the audience care about dead people? The Good Place creator Mike Schur has proven his comedy chops time and again as a writer for The Office and creator/showrunner of Parks and Recreation. Now he has given himself the challenge of making a show set in heaven a) funny, b) smart, and c) emotionally rewarding. For the most part, The Good Place hits all of those notes. Eleanor (a delightfully self-centered Kristen Bell) has mistakenly been sent to “the good place” (don’t worry, not a spoiler) by angel architect Michael (the GOAT TV star Ted Danson). From there, various hijinks ensue throughout a solidly clever and entertaining first season. The show truly separates itself from other network comedies because of its interest in moral and ethical philosophy. The Good Place takes Eleanor’s quest to become a better person seriously. … is something I can easily say about FX’s Atlanta, which became a mini-sensation last year. Impossible to fully define or categorize, Donald Glover’s creation is stunning, unique, and worth every bit of praise heaped at its feet. 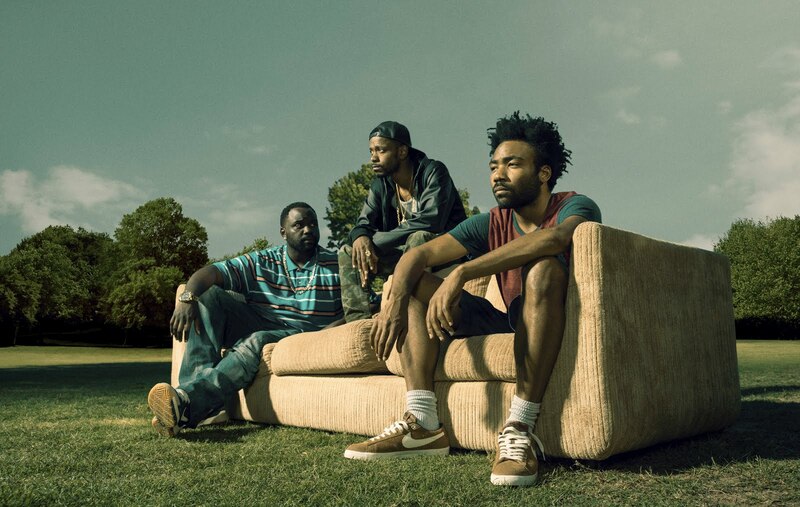 The show follows Earn (Glover) and his cousin, upcoming rapper Paper Boi (Brian Tyree Henry), as they navigate the Atlanta rap scene, but Atlanta is sooo much more than this loose plot summary. The sense of place and character is so strong on Atlanta that you want to live in this surreal world for much longer than the first season’s ten episodes. The Atlanta of the show is a strange funhouse where the quotidian and fantastical collide. The best part about it is that even as you’re trying to figure out what just happened on the previous episode, the next one is taking you in an entirely new direction. Even the “ordinary” plot-heavy episodes feel off-kilter in a refreshing way. It helps that the characters are memorable and the acting is on point. In addition to Earn and Paper Boi, Van, Darius, and even one-episode guest stars leave you wanting to spend more time with these people (an obnoxious Instagram superstar named Zan is hilarious in “The Streisand Effect”). Atlanta‘s deadpan charms won’t return until 2018, but the first season probably merits multiple viewings anyway. Those were the six shows that impressed me the most in 2016, but others were deserving of recognition as well: Stranger Things, for its nostalgic fun and creepy thrills. The second season of Narcos, for being a well-made and endlessly entertaining depiction of the Colombian drug wars. Veep‘s season 5, for being perhaps the most consistently funny thing on TV, especially in the thick of our strange political times. And The Americans, for being one of the best shows currently airing, although I’m still a season behind because, like I said earlier, there’s too much good TV right now. Great list, I’m so excited for the second season of Atlanta! Haha, shouldn’t you be charging for that kind of knoewedgl? !